ZOMBIE WALK IS BIG HIT! - Zombiewalk.com - Your source for all Zombie Walk and Zombie Flash Mob planning! 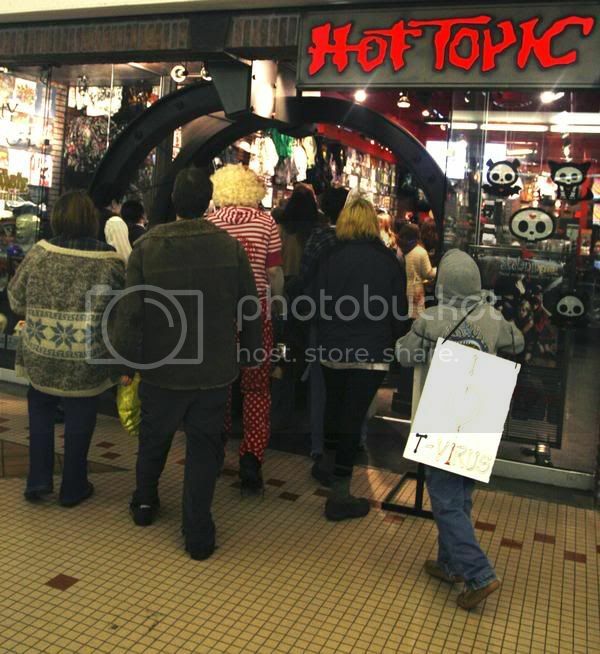 ZOMBIE WALK IS BIG HIT! 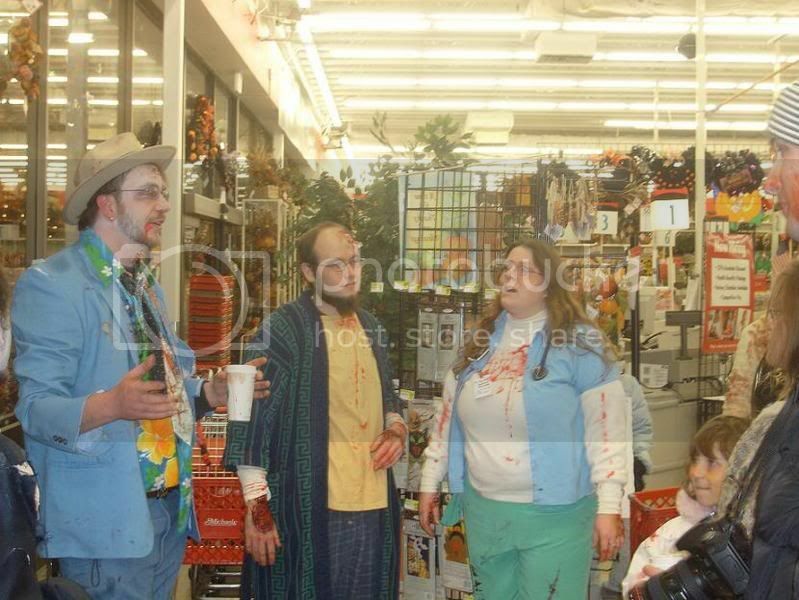 According to the national news service local pranksters in Fairbanks Alaska prompted some panic by dressing up as "zombies" and harassing local businesses. An overzealous Army official called for the closing of Fort Wraignwright's gates as part of the gag, which has resulted in his court martial. Early reports of violence, cannibalism, and fires were simply part of the hoax. 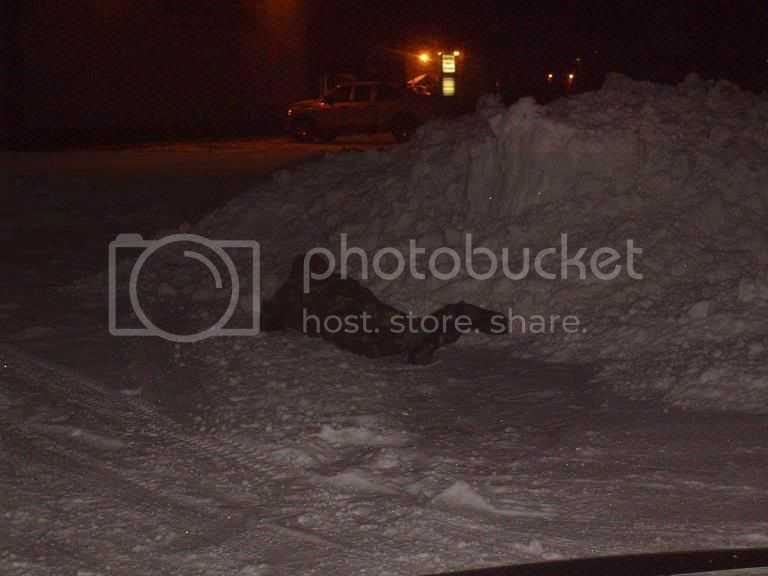 There is nothing unusual going on in Fairbanks Alaska. According to the Underground Zombie Defense Corps intelligence a hunter was infected by the virus while on a trip with some friends. When he began to show symptoms they simply put him to bed and neglected to check in on him later, believing him to have the flu or to be very intoxicated. The victim then expired in the night and within an hour rose to attack and devour his bunkmates. When local authorities found the cabin all of the hunters were dead. When one of the victims reanimated he was rushed to Fairbanks Memorial Hospital. Unknown to the rescuers however was that more of the victims would rise and attack the Emergency Medical Technicians that were escorting the bodies back to the hospital. At this point details become sketchy. There was an outbreak at the hospital which was contained quickly by the Army who cleansed the area with small arms fire and flame throwers. We can be assured that there were uninfected civilian victims in the hospital who did not survive. The original first victim was found wandering the woods near downtown, mostly frozen. He was taken by the Army to Fort Wragnwright for "detainment and decontamination." We know that this original zombie then infected many other base personnel who then attacked coworkers, friends, and family members, spreading the infestation across the base. Due to the awareness and quick thinking of the base commander the situation was quickly and surgically brought under control. While over 50 base personnel were lost there was little collateral damage (uninfected death by friendly fire.) The base commander then went on to cleanse the hospital area and begin to efficiently hunt the zombies through the town. Towards the end of the crisis a group of zombies were observed at Fred Meyer East, probably due to the survivors holed up un the grocery store. 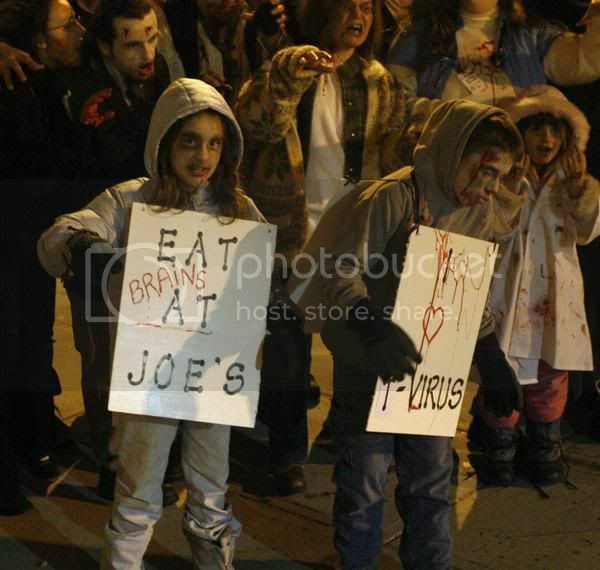 A team was sent to dispatch the living dead, but the zombies had invaded the grocery store and moved on. The group terrorized the streets between Fred Meyer and the Bentley Mall, pulling victims from their cars and entering shops along the street, apparently intent on invading the mall and consuming the survivors within. 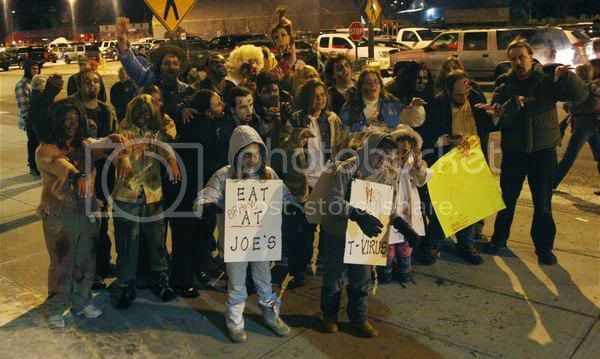 A group of Civil Defense zombie hunters (including some troops from the Army base) attempted to halt the zombie hoard. Although they put up a valiant effort they were out numbered by the zombies. After destroying a few they ran out of ammunition and turned to chain saws and other tools to fight the zombie hoard. They were quickly subdued and were turned into zombie assailants themselves. Zombies then flooded the mall and consumed several victims holed up there. Mall patrons seemed to have no idea what was happening. By the time the clean up squad arrived there were only a few zombies shuffling among the bodies of several dozen victims. It would seem that while zombies do freeze a freshly made zombie still retains the heat from its former life. Usually this heat radiates away quickly, but people in Fairbanks were dressed for the weather. This added insulation kept the zombie warm and functional for several hours, allowing it to infect others quite rapidly. This is how the infection spread so quickly. However, freezing a zombie will not kill it, and any zombies missed by the mop-up crews will likely resurface in the spring, as vicious and as dangerous as ever. At this time there are over 30 people "missing" in Fairbanks since last night. 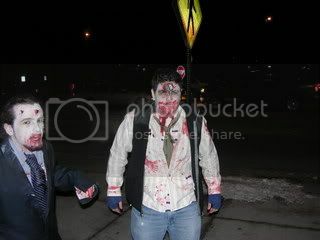 Fairbanks Zombie Walk 2007 was a big hit! Over 30 zombies attended, ages ranging from 7 to 60! We definitely got some attention with 2 reporters following us the entire time and about 15 other "paparazzi" who drove and walked with us, taking pictures the whole time. (Some of these folks were 'attacked' in their vehicles- much to their delight!) Everyone was talking about it, and you should have seen the looks on some folks faces in the mall! It was awesome, better than I had hoped. I will post pictures soon, as soon as I get them, and keep checking the website www.zombiewalk.com and myspace.com/akzombiewalks for more info in our spring walk- "THAW OF THE DEAD! "Civil Defense Force" reconning the zombies approach. The end of the walk in the mall. Where evil stalks, heroes will walk. I look forward to seeing more pics from that night, espacially from those "paparazzi" I saw. On a side note: sorry if you were one of those photographers I shot. All i could see were silhouettes, so if you got a dart to the face, I apologize!